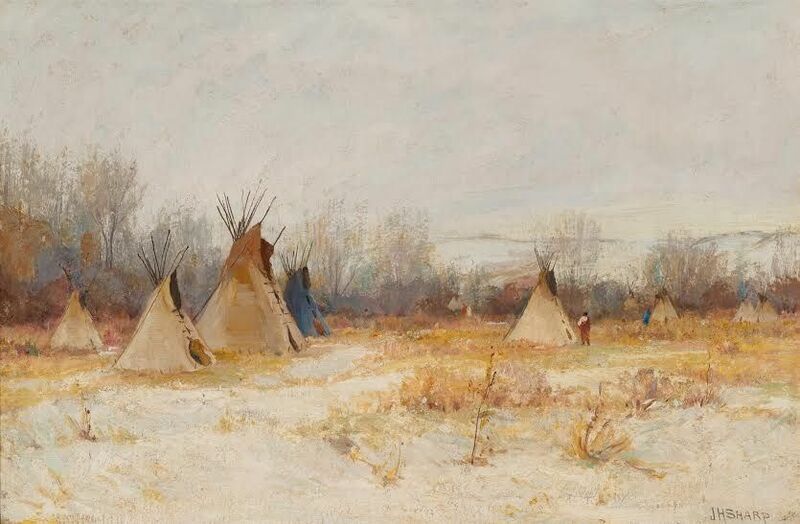 Two Fort Thomas families have pieces from their private collections at Taft Museum of Art in An Eye for the West: Paintings and Sculptures from Local Collections, on view through May 17. 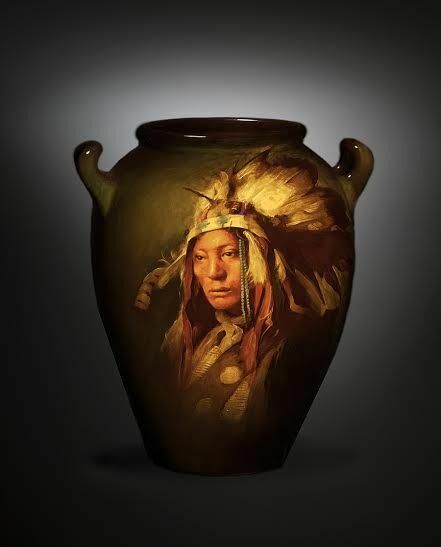 The intimate show in the Sinton Gallery is in conjunction with touring exhibit Wild West to Gilded Age: American Treasures from the Santa Barbara Museum of Art. Wild West to Gilded Age offers an overview of the most significant themes in 19th and 20th century American art with 52 paintings and eight sculptures by American artists including Thomas Cole, Frederic Church, Winslow Homer, George Wesley Bellows and John Singer Sargent. The inspiration for An Eye for the West as a theme of the American West were painter Henry Farny, who lived in Covington where a park is named for him and worked in Cincinnati, and Americans’ ongoing fascination with the wild and recently conquered frontier. David and Debra Hausrath loan Joseph Henry Sharp oil “Crow Winter Camp on the Rosebud, Montana” (painted between 1899 and 1910), a graceful winter landscape of teepees, and Rookwood Pottery glazed stoneware vase “High Hawk, Sioux” (1900) decorated by Grace Young featuring the weathered face and the war bonnet.